Acupuncture is a science and an art. 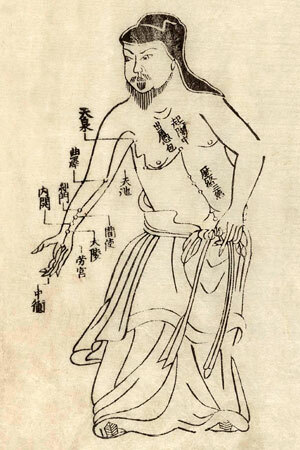 The theory of Chinese medicine is a complex system of logical and predictable functions that has been tested and proven over thousands of years, but the most exquisite and effective practice of this theory is infused with poetry, art and intuition. This kind of healing transcends the double-blind controlled studies that Western medicine relies on, so while there are a multitude of studies that demonstrate acupuncture's efficacy, it will never be able to be studied as if it were a little blue pill. The very characteristic that draws people to acupuncture - its absolute insistence that each person presents as a unique entity and that no two experiences of depression or back pain or headache are the same - makes it very difficult to study in a clinical setting. That said, acupuncture has been studied by Western researchers and although the exact mechanisms of healing aren't completely clear, there is plenty of evidence supporting its efficacy. - Increases blood flow in the brain and the body. Blood flow decreases due to age, trauma, injury and disease, and improving blood flow allows the body to heal itself. - Stimulates the nervous, endocrine and immune systems. By creating a "micro-trauma" at the needle site, acupuncture not only heals nearby tissue damaged by injury, but also awakens the body's self-healing mechanisms. - Releases natural painkillers. Inserting a needle stimulates the nervous system which in turn releases endorphins, norepinephrine and other painkilling substances in the body. - Reduces perception and intensity of chronic pain. - Relaxes muscles shortened due to chronic tension or injury. This in turn relieves pressure on adjacent joints and nerves and increases blood flow. - Reduces stress. Acupuncture has been shown by research to stimulate the release of oxytocin, which stimulates the parasympathetic (or relaxation) response in the body. Recent research has shown that an impaired parasympathetic system is implicated in chronic illnesses like arthritis, autoimmune disease, and irritable bowel syndrome. - Improves mood. Acupuncture affects the part of the brain that governs the release of seratonin, a neurotransmitter that affects mood. - Reduces inflammation in the body. Cupping, gua sha, and acupuncture all have anti-inflammatory effects, showing measurable reduction of inflammation markers in clinical research studies. Inflammation is indicated in every disease process from depression to arthritis to cancer, so controlling and reducing inflammation is one of the most important things we can do for our health. Acupuncture = less stress = less inflammation = less pain = increased wellbeing. People often ask me, "What can acupuncture treat?" My response is, "Anything and everything!" ﻿Of course I'm not saying that it is a miracle cure, although it often seems like one. In some cases acupuncture is used to manage pain and improve quality of life, and in many others, we are aiming for nothing less than restoring normal function.